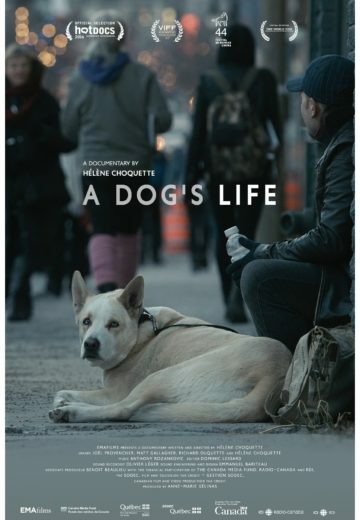 A Dog’s Life looks at stories of homelessness through the emotional bond that exists between homeless people and their dogs. At a street corner, in a squat or a rooming house, the documentary shows how homeless people struggle to find stability with the help of their faithful companion. Without judgment, the film explores the reality of having a dog when you have no roof over your head. Shot in Montreal and Toronto, the film portrays a universal reality for thousands of men and women facing homelessness in major american cities.